1. 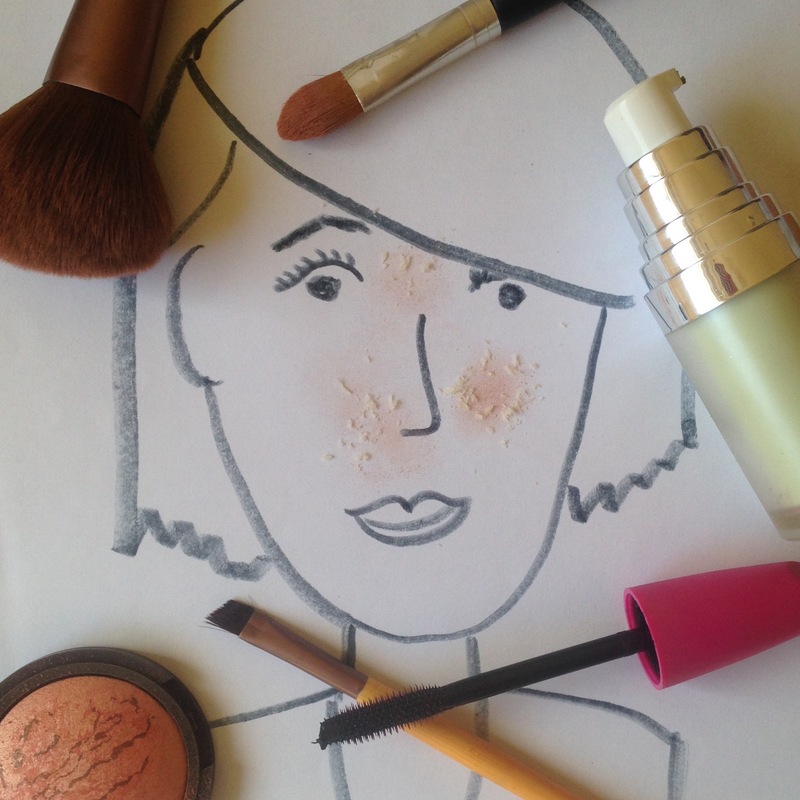 Flakes Be Gone: Makeup on top of flaky skin just does not work. Then you’ll just be wearing flakeup (get it?!). Honestly, no makeup is better than weird beige-colored face dandruff. Gentle exfoliation can help prepare the skin. Now, if you over-irritate the skin it will end up red and oily. But try a konjac sponge, Clarisonic or a product with a very, very gentle scrubby quality. You can carefully pick off the worst of the worst flakes but don’t make things worse! 2. Pat Pat Pat: For all your moisturizers, serums and foundations . . . use a patting quality rather than a rubbing quality. The rubbing can create more flakes. Those little foam wedges work great for this, though they do soak up some product. Use a clean one every day please! Bacteria is like fuel for seborrheic dermatitis. 3. Prime Time: You need something to create a smooth layer over the skin, before the foundation. Try Maybeline Baby Face (about $4.50). I love it! Only use a tiny amount and smooth it on AFTER your moisturizer is dry, then wait until primer is dry before applying makeup. The Smashbox Photo Finish Primer is even more amazing, but costs a bit more ($16). 4. Go Green: Since green is opposite red on the color wheel, it helps tone down redness. So as weird as it seems, rubbing on green creams won’t make you look like an alien, but actually might make you look more human. A great affordable option ($10) is L’Oreal Paris Studio Secrets Anti-redness Color Correcting Primer, which is perfect for an all-over reduction of pink skin. But for a serious fight against glaring red patches, try something like Dermablend’s Redness Concealer. It’s amazing! If you ever find that a green product is just a little TOO green, try mixing it with your moisturizer, primer or foundation for a custom redness-reducing product. 5. Powder with Caution: Only use powder if you are having a flake-free day. It can make your skin look dry and dull. The exception to this rule would be mineral powders such as Bare Minerals, which are used in place of a foundation and can actually look pretty great on seborrheic dermatitis. I used Bare Minerals for YEARS and found that it not only looked good on my skin, but improved my skin’s condition! 6. Try, Try Again: It’s all about trial and error, my friends! I’ve tried dozens of foundations and I’m still looking for something that works. Right now I am loving ELF Foundation Serum. What is your best makeup tip for seborrheic dermatitis?! Please share in the comments. Most of all, dig deep into your emotional reserves and exude beauty and confidence from within. Honestly, nobody is staring at your flaky nose if you’ve got a big smile, sparkly eye shadow, a dirty joke, a clever anecdote or an act of kindness. Sorry for the cheesiness, but I truly believe that while makeup is fun and can give you a nice boost of spirit, you can be beautiful without a trip to Sephora. Thanks Emily for your awesome tips. I was recently diagnosed with SD after 2 years of wondering what was going on with my face and thinking I was suffering of dry skin..
Next Next post: The BEST Tool for Dandruff You’ve NEVER Heard of! The BEST Tool for Dandruff You’ve NEVER Heard of!